Custom Molding and Tooling by Rubber Industries, Inc.
We can create truly custom LSR (Liquid Silicone Rubber) products. The highest quality injection molding service. 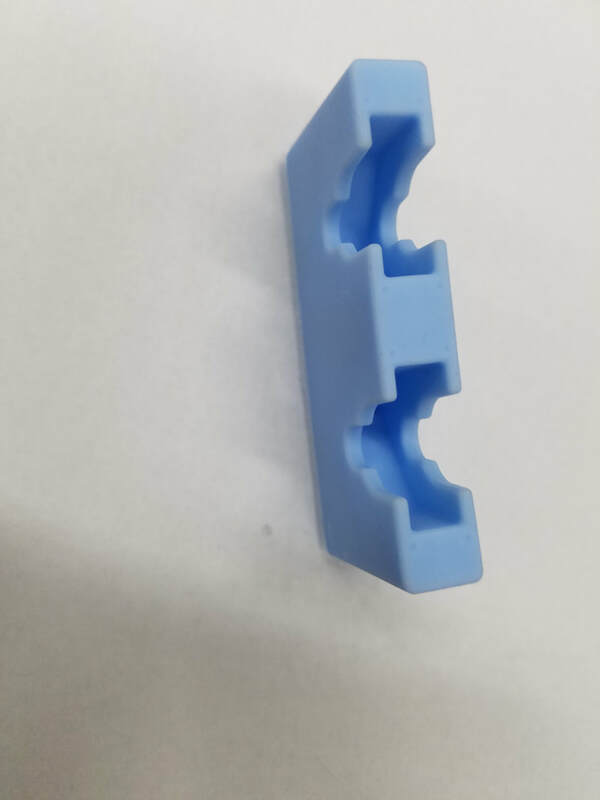 We are equipped to handle Liquid Injection Molding with LSR. We offer full transfer molding and compression molding services for all of your production needs, not limited to just one type of molding. We proudly create millions of medical grade products for the medical industry. We can handle the quality demands of the automotive industry and do so often. Our products are frequently used in industrial applications and stand up to the stress of such demanding applications. We supply some of the largest names in consumer goods and our products are trusted in the homes of millions of families. At Rubber Industries, we offer the fastest prototyping service around. ​Our competitors simply cannot match the speed and efficiency of our silicone prototyping. Within as little as a single day, we can manufacture the prototype for your silicone products. The pros of using LSR are numerous. The flexibility and varied use of the product, coupled with its fast production time, make it ideal for a large amount applications and parts. We make millions of custom molded LSR parts per year. Besides having the largest shop in the industry on our 5 acre property, we also have trusted partners in China to help produce our parts at such a rapid pace. By having our facilities for LSR owned and dedicated capacity in USA and in China, we lower the production time and price of our products drastically. LSR custom molding in optically clear, or multiple colors. Silicone to metal bonded parts. Medical grade, non-toxic, parts and molds for the most crucial of applications. All of our services can be requested for high volume or low volume production runs. 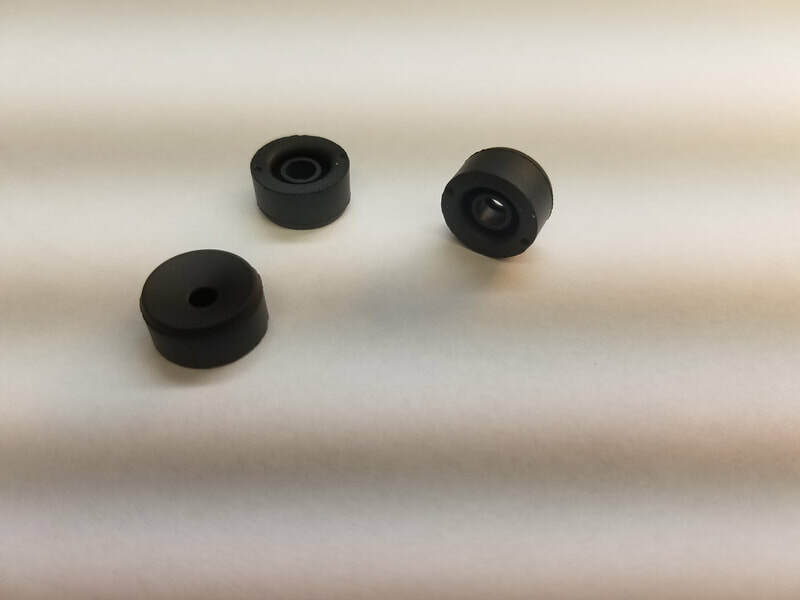 We make millions of custom molded LSR parts per year, but we also welcome the smallest orders and provide the same quality service for both high volume and low volume production. 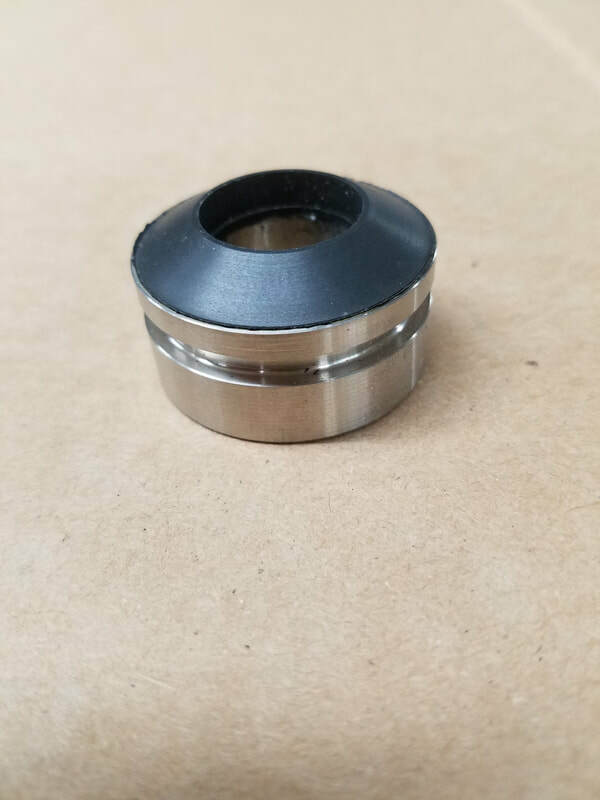 Our LSR capabilities allow us to expand the manufacturing techniques available to us and we can further customize our process to fit your needs. Most companies revolve their manufacturing process around their capabilities and the customer's part suffers. At Rubber Industries, we have access to all of the technology necessary to develop quality parts. This allows us to customize our process for each individual project that we work on and the resulting parts are of the highest quality. LSR comes in a vast array of subtypes and specific compounds. 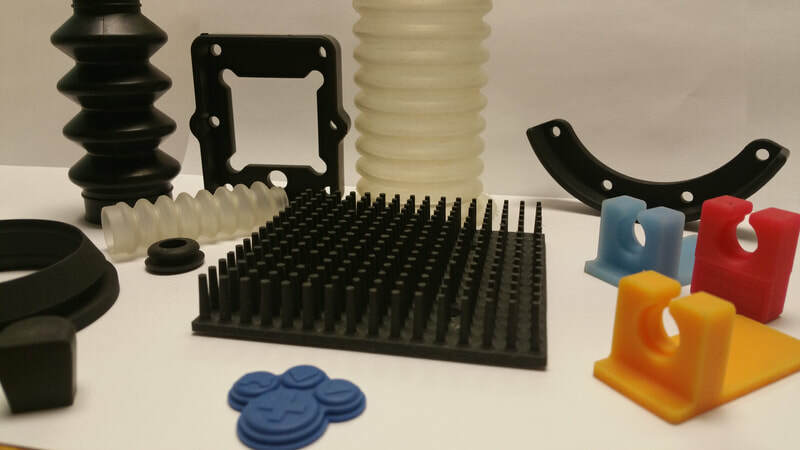 While all forms of Liquid Silicone Rubber benefit from the same general advantages, the variety in compounds allows for it to be used in a large amount of applications. It performs equally in a large range of temperatures. This allows the products made from LSR to be used in all sorts of environments and applications. Including extremely high temperature environments where most other materials would melt or become damaged. LSR can be optically clear depending on the type of LSR and the tooling, but the use of FDA approved and non-toxic color mixtures can allow the products made from it to match any desired color scheme. By using FDA approved, non-toxic, color mixtures, the products can even be made at medical grade quality levels. LSR demonstrates a lot of useful resistances that make it exceptional resilient. Ultra-violet light, x-rays, and oxidation have little to no effect on LSR. Chemicals and oils present in industrial and automotive products also have a low or negligible effect on LSR. It's even resistant to tearing and becoming permanently deformed. This allows for LSR products to remain intact and durable throughout their use. LSR is has many options that are specifically safe for medical use and certain consumer uses. There are also UL approved and recognized by UL as a safe material for sterile uses with certain specific grades of LSR. 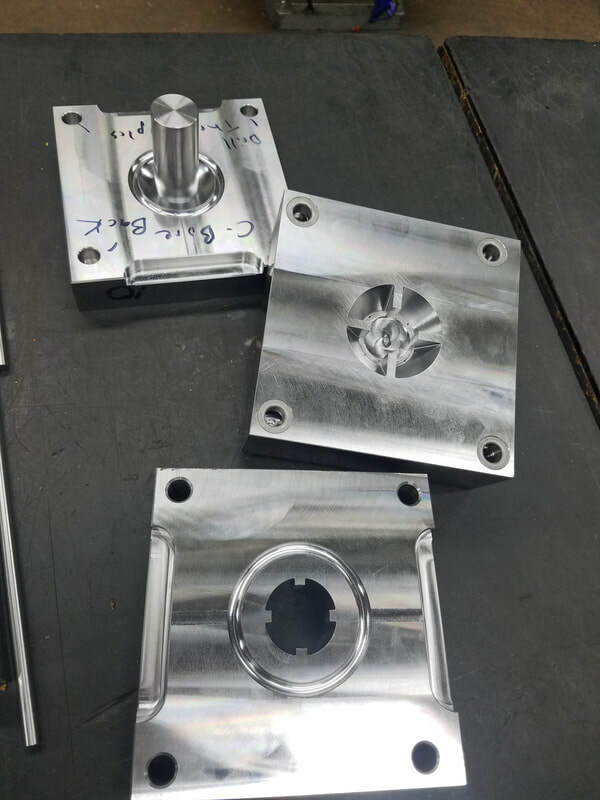 By enlisting the help of our Asian partners, we can offer rapid prototyping services domestically or in Asia to quickly fulfill any of your prototyping needs whether the project long term needs are domestic or higher volume with lower cost. We have invested and have LSR owned capacity with our Asia partners to complement our LSR production capacity here in Minneapolis at our plant. 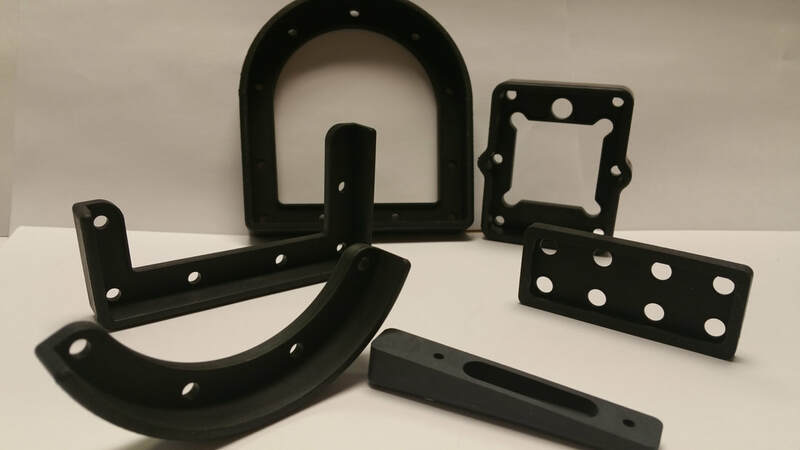 Due to our production capacity, we can produce high volumes of products such as silicone to metal bonded parts, overmolded parts, and LSR custom molding services faster than the competition. Not only can we produce results quickly, but we can do so 24 hours a day, 365 days a year. Since we partner with trusted and respected Asian companies, we can maximize our productivity and pass the savings on to our customers. In certain procedures, an implant or other device might need to be encapsulated to remain protected. With LSR and overmolding, these vital pieces of equipment can be protected properly. That's just one of the many pros of using LSR. If you've ever used tools that feature a rubber handle surrounding a metal base, then you've personally used a product with an overmold. This is common in tools such as hammers, knives, and other such hand tools. The overmolding technique is often used to cover exposed wiring. Exposed electrical currents can lead to electrical hazards such as fires and electrical shock. With LSR having a low conductivity, it's the perfect material to protect wiring with. While LSR is translucent on its own, Rubber Industries has experience in adding multiple colors to the compound. These color mixtures are 100% non-toxic and safe for all applications. This increases the usefulness of LSR in all of its applications. Our LSR parts can withstand extremely high temperatures. In its purest form, LSR can remain operable at temperatures as high as 180 degrees centigrade. While that's already impressive, we can also make compounds capable of working reliably at up to 250 degrees centigrade. Prototyping is one of the first steps in any project. Our competitors can take weeks to create a working prototype. At Rubber Industries, we pride ourselves on producing working silicone prototypes in as little as one day. We can take the entire process from the prototype phase to completion in as little as 7 days. The top household brands rely on Rubber Industries to produce their most critical parts. In fact, our seals, gaskets, o-rings, and other silicone parts are present in households everywhere. This is due to our extensive work with companies aimed at everyday consumers. Our seals, gaskets, and bellows are commonly used in the automotive industry. Our diaphragms are frequently trusted in the industrial sector to control the flow of gas and liquid through out crucial pumps and equipment. We make millions of custom molded LSR parts per year to meet the demands of our customers and we have done so for fifty years and three generations. Rubber LSR, known as liquid silicone rubber, is a specialized compound created from a base of silicone oxide. Although there are several different categories of LSR with different properties, all share these general characteristics. They show very stable performance across a wide temperature range. Pure LSR is stable from 50 degrees Centigrade to 180 degrees centigrade. With the addition of stabilizers to the formula, some LSRs are stable at over 250 degrees centigrade; others can be formulated to remain flexible at an amazing -90 degrees centigrade. In its pure form, liquid silicone rubber is colorless. However, a variety of non-toxic pigments can be added to the formulation for coloring. LSRs are not affected by oxidation, ultraviolet light or X-rays. They are also very resistant to chemicals and oils. When cured, they demonstrate great tear resistance and very low compression set and stress relaxation. Compared to virtuallly every other rubber-based material, rubber LSR has very unique properties and applications. It does not incorporate plasticizers or stabilizers. It is cured by a process that utilizes only non-toxic, non-hazardous materials. Therefore, even in the event of an under-cured component made of LSR, there is no health threat. This is obviously a tremendous advantage in medical and surgical applications. Along that same line, the material is odorless and tasteless as well as hypoallergenic. Due to its inorganic molecular structure, LSR does not promote bacteria or mold growth on surfaces made of the material. The purity of LSR formulations exceeds any other conventional elastomer, plastic or natural rubber. Liquid silicone rubber is supplied in many different grades. Some of the more common established grades are medical grade, electrically conductive, adhesive, self-lubricating and FDA approved. To achieve an electrically conductive grade, the raw material is blended with carbon to make it conduct electricity. Medical grades of LSR are manufactured under very strict conditions and high quality control standards. The self-adhesive forms of liquid silicone rubbers are those that are bondable to most plastics and to metals like aluminum, steel and magnesium. Products from rubber LSR are normally manufactured utilizing high precision injection molding procedures, similar to thermoplastic molding. These offer very fast cycle times, rapid curing and easy demolding. In most applications with liquid silicone rubber, the molding process is flashless. This facilitates control of critical part size tolerances. Contact us for a price quote or send your drawings to us today to get started on prototypes. Ready to see some samples? Contact us online or by phone today. The wide range of advantageous properties of silicone-based materials makes it an ideal choice for many industries. Sectors as diverse as consumer goods, medical, automotive production, culinary and industrial facilities use silicone-based items for many applications. • Seals: High-quality seals are critical in the aerospace and automotive industries. • Gaskets: Gaskets are widely used in refrigerators, motors, pumps and transmissions. • Diaphragms: Diaphragms are used in industrial pumps and related equipment. • Bellows: Bellows come in many sizes and are used in automobiles, medical equipment, light rail and manufacturing equipment. • O-rings: O-rings are used in FDA compliant applications like dentistry, construction, aerospace and petrochemicals. • Overmolded parts: We make encapsulated implanted electronic devices, slip-resistant handles and electrical circuitry insulation. • Dual durometer products: Dual durometer materials have two hardness characteristics. Examples include squeegees and grips on golf clubs. We are the fastest silicone production tooling company in the industry. • We offer custom tooling, fast prototyping and high volume runs. • In-house chemists prepare your custom colors quickly and accurately and can modify the silicone formula to meet the most demanding applications. • We welcome low volume production runs. • We offer silicone injection molding for custom molded parts. The process works for overmolding, reduces waste, eliminates pre-forms and reduces cycle time. • We have been under the same single-family ownership for over 50 years. When you need the fastest complete silicone services from proto to production, contact us.